Teamsters Local No. 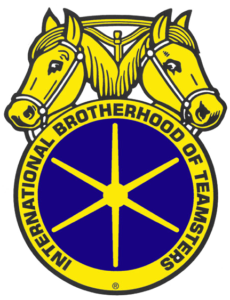 439 has been representing Teamsters Members and their families in the San Joaquin, Amador, Calavaras and Tuolumne Counties for over 60 years. We currently represent approximately 5,600 members and growing, and have over 85 employers participating in collective bargaining agreements with us. Many Local 439 members are actively involved in their union and participate in union activities. We encourage new members to join us in our efforts to build solidarity and unity. New members, be sure to attend our next regularly scheduled General Membership Meeting and take the Oath of Membership. The Local 439 President or Secretary-Treasurer will swear you in, and you will have the opportunity to meet your union representative. We would like to also encourage new and current members to sign up for the Local 439 Activist Network. The Activist Network we are building in 439 serves to help fellow Teamsters and union members druing strikes and boycotts. The network also assists in organizing efforts and participates in political activities that help union workers and working famlies.